It’s disturbing to think about, but essential for all of us to know about: The sexual abuse and exploitation of children. When it comes to rescuing those children and investigating, locating and arresting suspected child predators, “it’s a race against the clock,” says U.S. Immigration and Customs Enforcement’s (ICE) Acting Director John Sandweg. Luckily there’s a mobile tool to help beat that clock back a bit. Touted as the first of its kind in U.S. law enforcement, Operation Predator app is harnessing the power of the mobile crowd to gather critical information worldwide, quickly and easily. Available for iPhone users, the app will also be expanded for wider mobile application. 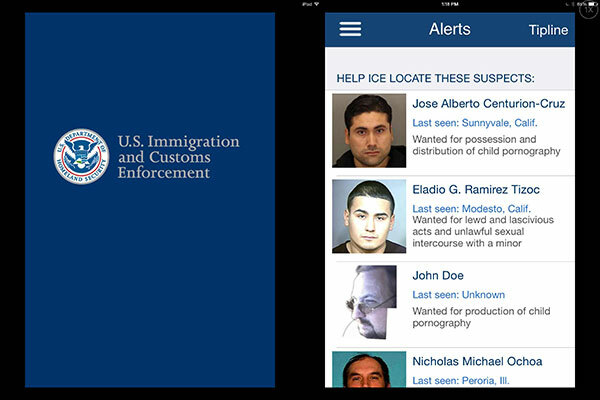 Through the app screen (and also by phone or online), anyone can submit anonymous tips to the ICE Tip Line about suspected predators—either wanted fugitives or previously unknown—24 hours a day, seven days a week. Access a list of online resources regarding missing and/or exploited children. Don’t worry: You can download this and other mobile government apps with just a few clicks from our USA.gov Apps Gallery.